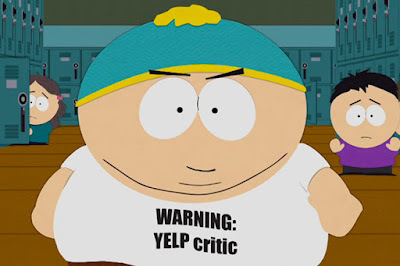 "We’ve taken a hard look at the information presented to us, and after reviewing it, we have given Yelp and their lawsuit only one star. Their lawyers delivered us legal documents in a very unprofessional manner; not bothering to smile or even a quick handshake. The writing on the envelope was barely legible and in two different colors. It is our personal opinion that Yelp could do a much better job by not suing us for ten million dollars."